Ever since Limpopo native Tsitsi Chiumya took to the comic stage, he has been a force to be reckoned with throughout South Africa. He was on the Mail & Guardian young 200 list and nominated for South African of the Year in the Young achiever category. His quick wit, charisma, and gentle style of comedy have made him a comic to look out for, with a schedule that just gets busier. Chiumya was nominated in the New Comer of the Year category in the 2017 Comic’s Choice Awards. 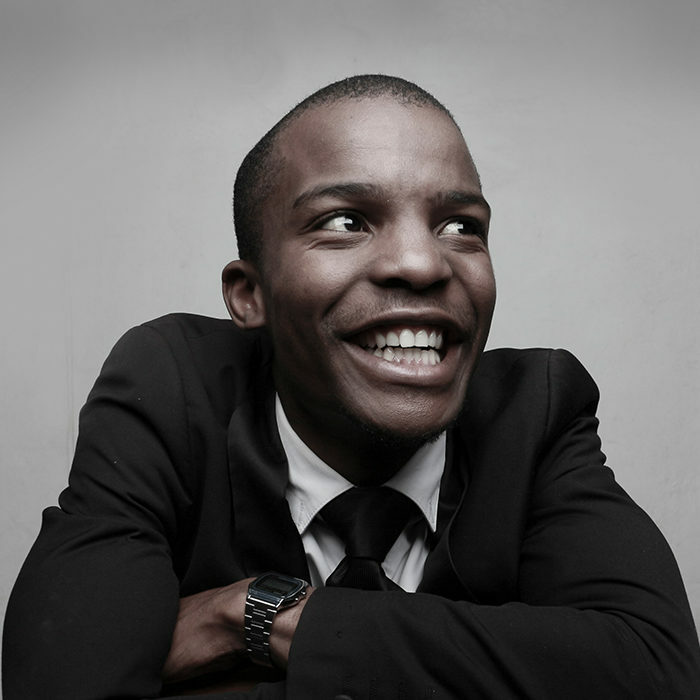 He started off as the first black South African Game Design graduate from the University of Wits. Chiumya started comedy in his last year of university and soon worked with the greats, opening for big acts such as Carvin H Goldstone, Nik Robinowitz, Tall As Mo and working with many more like Riaad Moosa, Conrad Koch, Tol As Mo, Mpho Popps and the legendary Barry Hilton. Tsitsi’s talents are becoming recognized and appreciated throughout the entertainment industry. He was a regular guest on the SABC 3, SAFTA award winning show Expresso, and is a freelance writer for the Emmy nominated ZANews. The hardworking young man sold out his first solo special, A Kiss on the Mouth hosted by the talented Dalin Oliver at the Baxter Theatre in Cape Town. The show was followed by the exciting two man special, How we got these Suits with best friend Emilio Tobias. How we got these Suits sold out at Joburg Theatre receiving nothing but positive reviews. The young talent is making his mark internationally. His first ever corporate was booked in Belgium and he has performed at clubs around Europe such as Lebowski’s. He also performed in California at the San Francisco Comedy Club in 2016.